Continuing my series about travel distance for horses, here are a few more details regarding long-distance travel on horseback (or by horse-drawn conveyance). What is the best gait for long-distance travel? A solid working trot. 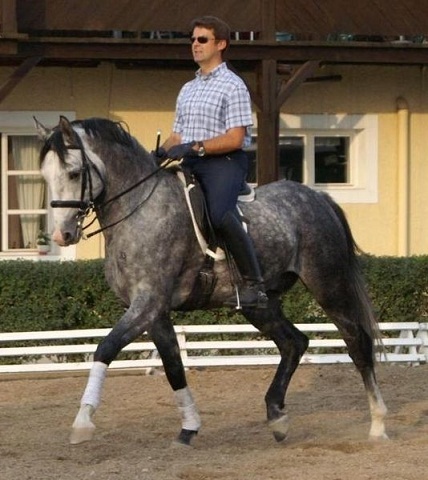 While this is not the most comfortable gait for the rider, or the most dramatic to watch, it is the most efficient gait for the horse and the most sustainable over a distance (besides the walk, which is a resting gait). The trot averages about 8mph in speed. Mixing some canter stretches in with the trot can be good since even though it is harder work for the horse (and faster), it puts a different set of stresses on the horse and may relieve muscles that are tiring from repetitive movement. Here is an interesting fact about the canter: a horse breathes once per canter (or gallop) stride. He inhales when the hind feet strike and exhales when the fore feet strike. Therefore, when cantering, you want to keep your horse’s speed consistent, because if you keep slowing him down and speeding him up, you make his breathing erratic. The one gait that is NOT for long-distance travel is the gallop. The gallop is a sprint. If you had a long way to travel, would you set off at a sprint? This is a common error in fantasy novels, horses traveling long distances at the gallop. Generally, a horse can carry 20% of his own body weight over a distance without injury. The 20% needs to include the weight of not just the rider, but the saddle and bridle, and any baggage and extras (for example, a knight’s heavy armor). Within a breed, there are always larger-than-average and smaller-than-average individuals. However, it would not be an error if characters in your fantasy or historical novel exceeded these limits. Throughout history people have routinely overworked and overweighted horses. Have you ever seen a swaybacked horse? Swaybacking is not a normal consequence of age. 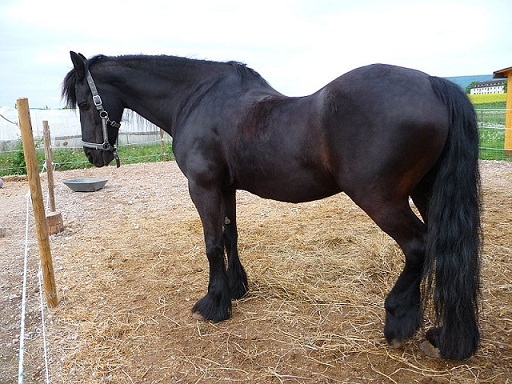 It happens when a horse is repeatedly made to carry more weight than it can handle. Overwork was so common that while nowadays horses routinely remain functional and rideable into their 20s, throughout most of history it was rare for a horse’s working life to extend past the age of ten. The typical horse spent the first five years of its life being raised and trained for work and the next five actually working, and by then the poor animal was probably used up. Love these posts Amy. Great research.